UT fans can buy or give the gift of school spirit in the form of a tasty food. The university's Institute of Agriculture and a corporate partner are making and selling All-Vol Cheese. Farm-Level Risk Management Potential of Pennycress as a Bioenergy Cover Crop in a Corn-Soybean Rotation. Larson, J. A., C. Trejo-Pech, B. C. English, and T. E. Yu. 2019. Selected Paper Presentation, Southern Agricultural Economics Association (SAEA) Annual Meeting, Birmingham, AL, February 2-5, 2019. Adoption of sustainable agriculture practices among farmers in Kentucky, USA. Mishra, B., B. Gyawali, K. P. Paudel, N. C. Poudyal, M. Simon, S. Dasgupta, and G. Antonious. 2019. Environmental Management, 62 (6):1060–1072. Factors Influencing Organic and Fair Trade Coffee Growers Level of Engagement with Cooperatives: The Case of Coffee Farmers in Mexico. Arana-Coronado, J.J., C. Trejo-Pech, M. Velandia, and J. Peralta-Jimenez. 2018. Journal of International Food & Agribusiness Marketing. 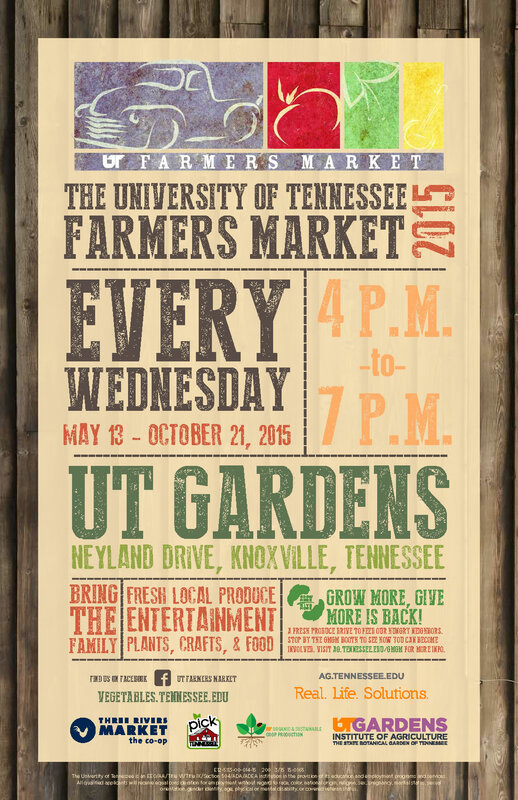 Factors Influencing Prices at Tennessee Farmers’ Markets. Bellingham, S., M. Velandia, C. Boyer, and C. M. Hellwinckel. 2018. Southern Agricultural Economics Association annual meeting. Gene editing could speed research solutions for farmers. Blake, C., and S. D. Stewart. 2018. Farm Progress (Delta or SE Farm Press). The good, the bad, and ugly of farming with precision technologies. Duncan, L. A. 2018. Delta Farm Press. Using battlefield tactics on the farm to aid growers in precision decisions. Duncan, L. A. 2018. Delta Farm Press. Preparing farms for the FARM program evaluation. E. Edwards, J. Kull, and P. D. Krawczel. 2018. UT Extension, W-647.